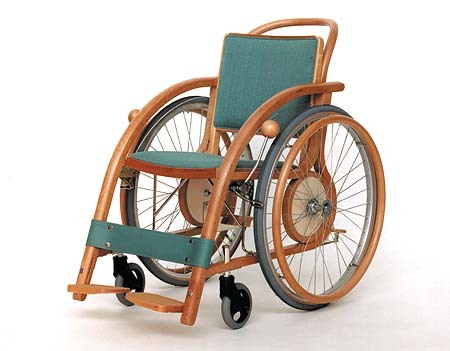 This is a wheelchair for residential use comfortable enough for the aged and the handicapped. By applying solid Akita beech, smooth natural touch and bent wood frame structure give us ease and relief. The compact size is suitable for small housing popular in Japan. Not only its social and functional features but the elegant taste fit in our daily life; it is more than a wheelchair but a piece of masterpiece furniture.